The details & images contained in the leaflets/brochures or any other printed, digital and website material are only indicative artistic imagination may not be exact or accurate & the same does not form either the basis or part of the offer or contract. The purchase shall be solely governed by the terms & conditions of the agreement for sale. This advt. does not constitute an offer or an invitation to offer for sale of flats. This project is registered under RERA & the relevant information of this project is mentioned on the RERA website. West Pioneer Properties (I) Pvt. Ltd. Is secured with the RBL Bank Ltd. and NOC/permission would be provided, if required. Conditions apply. 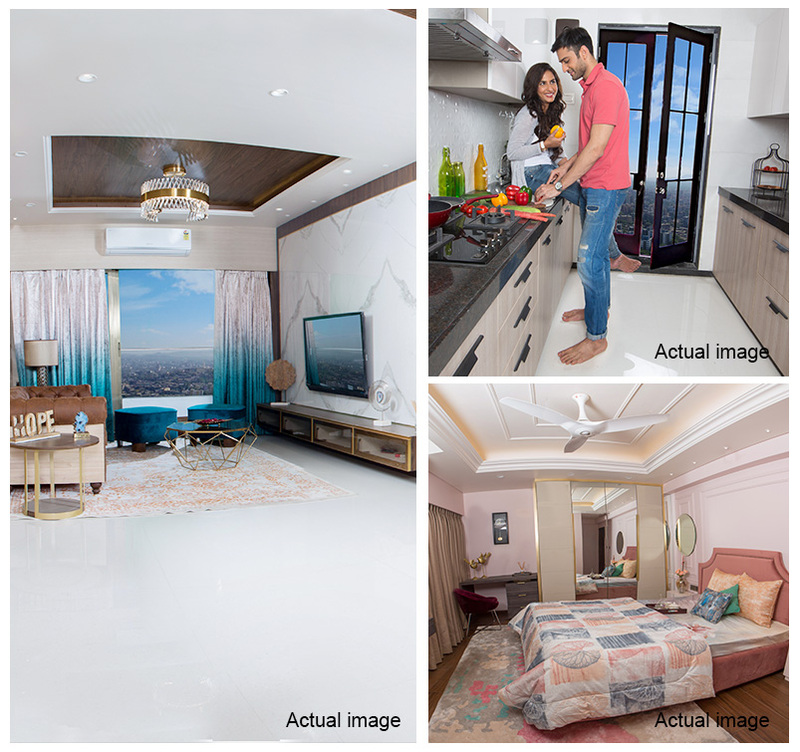 The Royal Palais, your glorious abode at Metro Grande awaits you with its luxurious 2 & 3 BHK Apartments. The Palace Gate of your heavenly retreat truly opens up to a Kingdom called Home. 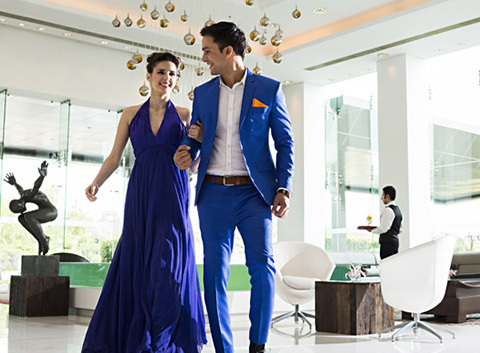 A set of two 28-storeyed edifice, it crowns everything you will ever need for a regal living. 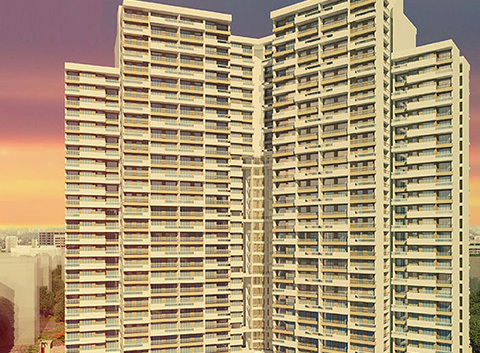 A well-planned residential township at Kalyan, Metro Grande sprawls in the tranquil environs of Kalyan Shil Road. Away from the city humdrum and yet, only a whisper away from the daily necessities of life, it is in close proximity to Educational Institutes, Shopping Destinations and Hospitals. 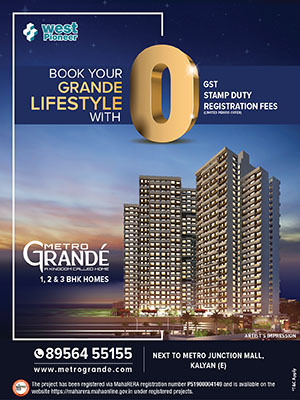 Located at the Mumbai Metropolitan Region, Metro Grande is set in the heart of the busting metropolis of Kalyan, and yet has its own set of lavish environs, social infrastructure and augmenting corporate conurbation. The living area welcomes the king and queens. With grandiose living area & vibrant feasts. A room for pleasures & togetherness. The royalty invites his friends to his Retreat. An intelligently designed space for your Kitchenette. Here royal delicacies come to life. With table decked with aromas & rich flavours. This room makes way for your royal appetite. The splendour falls on castle walls. At the spacious abode for the royal heart. Comfort & cosiness radiate the whole Room. Here, life comes at a peaceful halt. 70,000 sq. ft. of non Vehicular Podium. 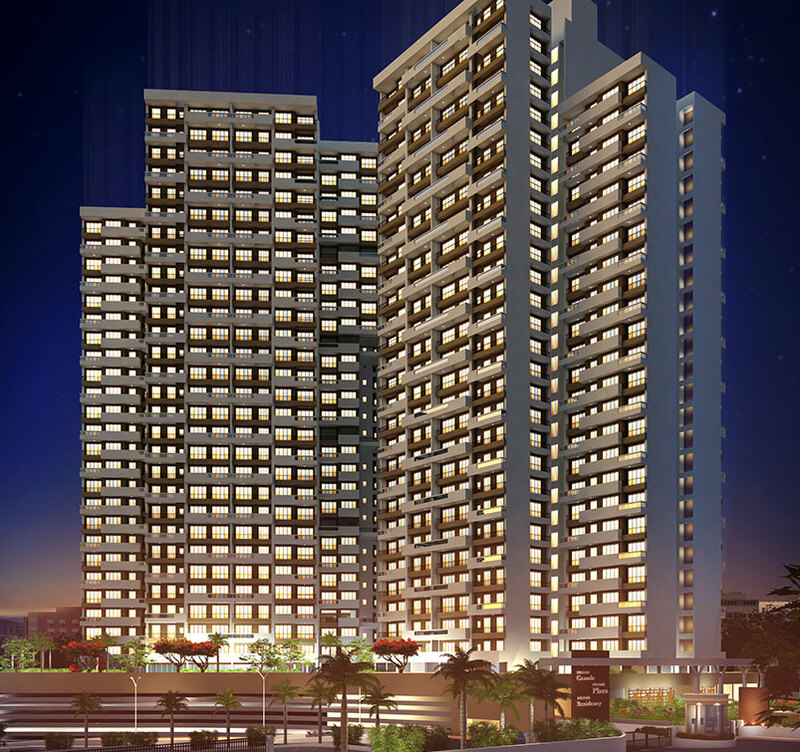 Metro Grande is set in the heart of the bustling metropolis of Kalyan. Located at the Mumbai Metropolitan Region, Metro Grande has its own set of lavish environs, social infrastructure and augmenting conurbation. Just 1.5 km away from the Station, this residential retreat truly has the best of both worlds. Adjacent to the biggest shopping & entertainment hub of the region, Metro Junction Mall. This means easy access to shopping, restaurants and entertainment, an advantage unlike any other. 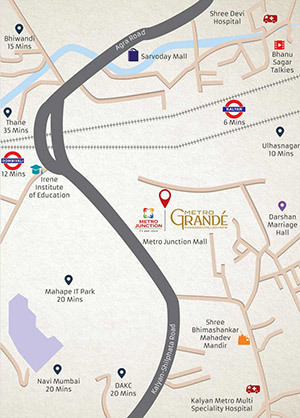 Situated right on Kalyan-Shil Road and equi-distance from Dombivli, Kalyan and Titwala Stations. Disclaimer:The details & images contained in the leaflets/brochures or any other printed, digital and website material are only indicative artistic imagination may not be exact or accurate & the same does not form either the basis or part of the offer or contract. The purchase shall be solely governed by the terms & conditions of the agreement for sale. This advt. does not constitute an offer or an invitation to offer for sale of flats. This project is registered under RERA & the relevant information of this project is mentioned on the RERA website. West Pioneer Properties (I) Pvt. Ltd. Is secured with the RBL Bank Ltd. and NOC/permission would be provided, if required.